Your Fave Celebs Charge WHAT For An Appearance? Celebs are now requesting ridiculous amounts of money to make public appearances these days. Kid Cudi charges a whooping $55,000 (really?) for an appearance, Nicki Minaj needs $35,000 to spit her bubblegum raps on the mic and The O Jays want at least $80,000 for some oldies but goodies. Jeezy won’t step foot anywhere unless he’s getting $60,000 PLUS travel expenses. 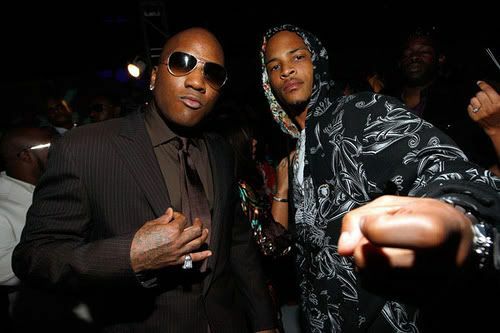 And one of the highest paid celebs for club appearances is T.I.. You need just a minor $110,000 to guarantee the KING will be in attendance. If you’re in the mood for random non-words and sounds thrown together and put over a beat, Waka Flocka charges $22,000. Lol Seriously. You only need $5,000 to “Sponsor” R&B underdog Teairra Mari for an event. 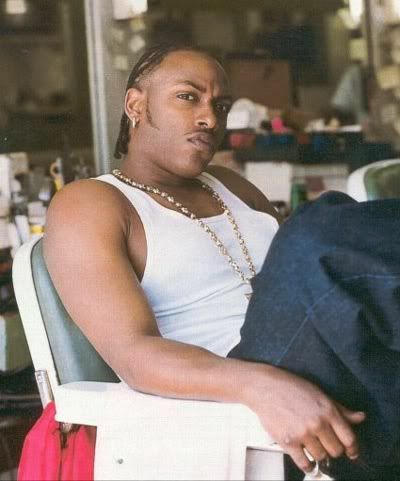 Mystikal needs between $11,000-$16,000 to finish paying Uncle Sam for his tax evasion misdemeanors. That’s asking a lot seeing that Mystikal’s last album came out in 2001. Reality TV/hip-hop newcomer, Toya Carter charges $4,500 to spit her verse off the "Bedrock Remix" and show her cute face. Do you think these celebs are worth the money they're asking? I need tyga what's the best offer I want to get him for prom ? OMFG! I NEED NICKI AT MY PARTY I AM GOING TO HAVE A FIT IF I DONT! #TeamMinaj!!!! i need to know what is a OBO? i need to know what is a OBO? Because i need wiz khalifa for my sweet sixteen.. 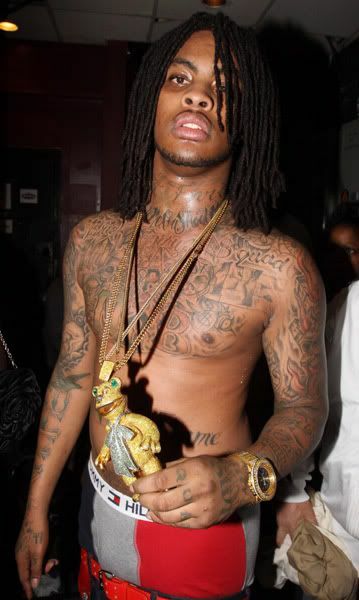 Yes, my baby Waka is doing it big. Just cause they appearance fee is set that high doesnt mean they always get paid that much. For example my client Michael appearance fee is $500-1000 per appearance But the thing is:If he just show up at some kinda club or event. He only makes $500.00 But if he's hosting it.Then he get's paid 1,000.00. He get paid $500.00 to show up and another $500.00 to talk and mingle with the crowd.Which usually help them make more money.Then what they would have.If h woulkd have jst showed up. Rider as in rider that drives them around? Rich Boy's a decent price. Rich Boy's a decent price. Throw five G's on that check! lots of these figures are wildly inaccurate and obviously none of you have a grasp of how the music industry works. and thats fine. So who told Trina she was the baddest?? She's only charging $11K...I guess you can get the baddest at a reasonable price...she should be getting paid more than Nicki. I agree! How is that barbie chick (who just started) getting $35K for those HORRIBLE raps?! And if most of y'all quit pirating their cds its wouldn't be this ridiculous... y'all just dont understand the industry and these 360 deals... how much of that money to do u think is JUST going to the artist? Where is Dru Hill for $4.25 and a pizza? alot of these not making sense i dont believe kid cudi chages that much and i dont believe nicki charges that lil cuz nicki old manager (whos was gucci &waka too) charged 40- 50 thousand for apperance in early -mid 09 before nicki was signed before she played on radio and before she started being on everybody song so why would sh be charging less now that dont add up plus some club in my area like 4 months sed they couldnt get nicki to come cuz she was charging 65k where did these come from plus waka flocka says in all his songs in chages 15,000 for a apperance only diffrence is waka has a club apprance like everynight and nicki use to do like 4-5 days out the week but shes not even doing club apprences now cus she working on her abulm and trust waka and nicki should charge more than alot of these people cuz when they come out people go crazy i mean really hype and wild and on the opposite b.o.b should not charge 45k cuz when he comes out people go get food like he is really bad at hype up the crowd...........and most of yall need to shut up talking mess cuz yall no when yall go to the club dont nobdy pay yall not a damn thing !!! LOL..i'd like to peep their Riders- some might cost more than the fee..what's on a pornstar's rider anyway? and how much is Kat Stacks??? Does anyone know how much Ray J costs? This is the reason so many people are unemployed, we're wasting money on crap like this. Dang... If I could get paid like that, I can pay all my bills off from off one appearnce. One could only wish!! Didn't nicki say on her verse on up all night that she collects $100,000.00 at the venue? lolol.